Quite possibly the most loved character of the series, Tony Tony Chopper has been an amazing addition to the One Piece mythos. As the crew’s Doctor, he actually has the expertise and knowledge that characters, like Usopp only brag about, yet he isn’t cocky or overly confident in his abilities. In fact, Chopper has such a caring compassionate heart (just look at his backstory! ); a real need to belong, that his main concern is finding friends and being a part of the group. He pals around with Luffy & Usopp, reveres the grand, tough manliness of Sanji & Zoro and adores Nami & Robin. He is the perfect fit for a Indigo Lantern. Upon writing this, I realize that I didn’t exactly follow my own rules. Chopper’s trademark hat is still present, although the color and symbol has changed to fit his new job. I’ve also added some tassels and cloth to his horns intentionally. Either way, I am pleased with this costume. The simplistic style fits Chopper well and I am glad that he isn’t too covered up; there is a nice balance of indigo and his natural fur color. 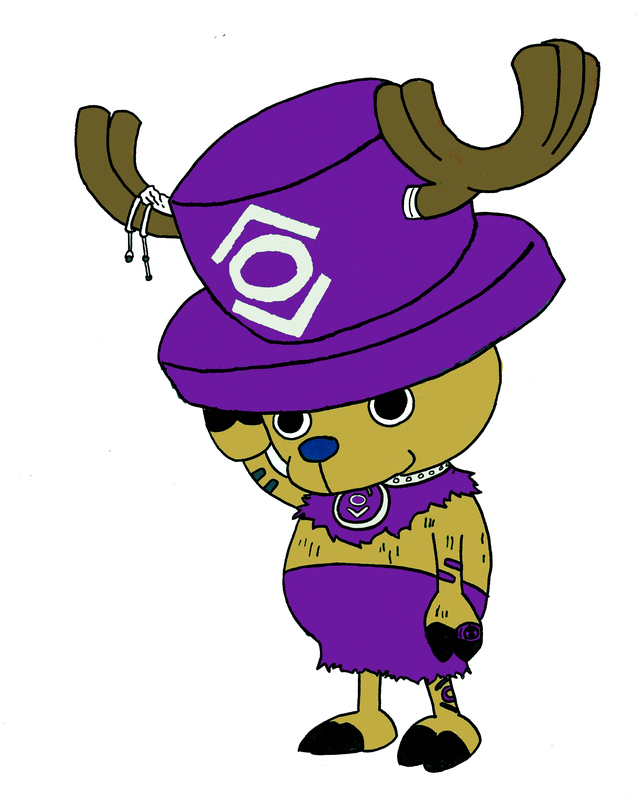 Speaking of Indigo, it is a good color for Chopper, especially with his heightened intellect. Indigo, according to color theory, symbolizes a mystical borderland of wisdom, self-mastery and spiritual realization. It allows us to step outside of our boxes and look at the world in a new way, much like how Chopper felt when he joined the crew.